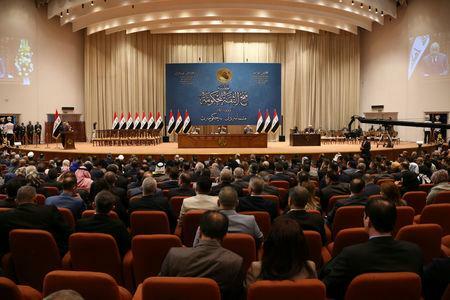 ULAIMANIYA, Iraq (Reuters) - Iraqi lawmakers approved a partial list of Prime Minister-designate Adel Abdul Mahdi's proposed cabinet of ministers and programme on Wednesday, including former interim oil minister Thamer Ghadhban as oil minister. Veteran Kurdish lawmaker Fuad Hussein was appointed finance minister, according to lawmakers. Parliament will vote on the remaining eight ministers at a later date.